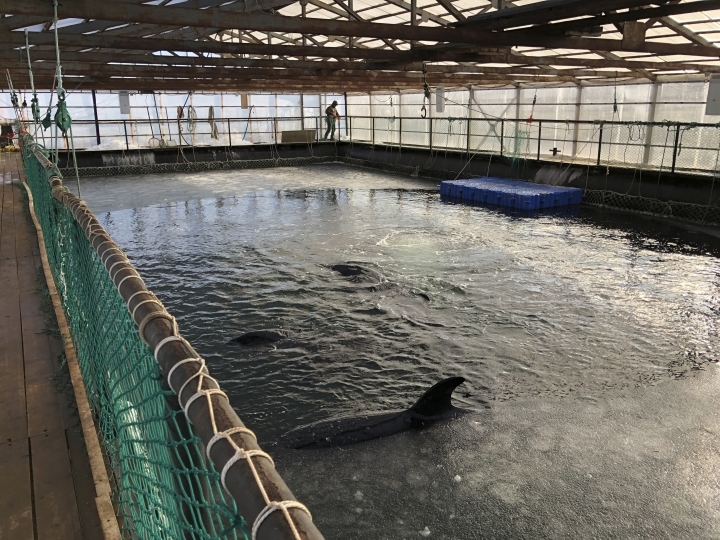 MOSCOW — Activists are expressing alarm about more than 100 whales that are being kept in small, crowded pools in what environmentalists are calling a "whale prison," off the coast of the Russian Far East. The local court last week agreed to hear the activists' lawsuit seeking to penalize officials who allowed the capture and demanding the animals' release. Activists first raised the alarm late last year when 90 belugas and 12 orcas were captured and placed in a marine containment facility. Russian law only allows for the capture of whales for "scientific" or "cultural" purposes. But activists believe the whales have been captured for sale to foreign amusement parks. Local animal rights activists say the cramped conditions and low temperatures threaten the whales' lives. "There are very small chain-link pens, 12 to 15 baby whales are put there and have to be on top of each other," said activist Nina Zyryanova. "Now it's getting colder every day. 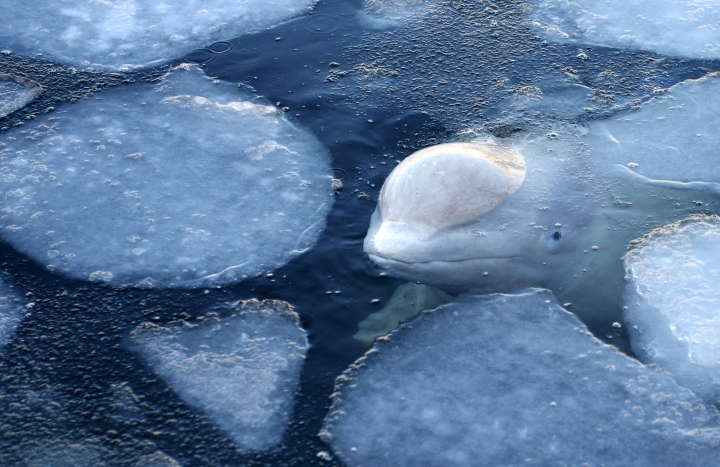 Although these animals are native to the Arctic, they must move, hundred kilometers a day, to stay warm." Kirill Parkhomenko, assistant to the Vladivostok environmental prosecutor, said that four Russian companies caught the animals after they obtained a permit from the Federal Fishery Agency. The prosecutors believe that this permit was obtained illegally because the company cannot prove that is engaged in any scientific or cultural activities. Calls to the companies went unanswered late Tuesday. In an interview with Russian state TV last year, a representative for the facility rejected reports of poor treatment of the animals. One of the companies, Bely Kit, unsuccessfully sued the Federal Fishery Agency in 2017 over its refusal to issue it a quota for capturing unidentified marine mammals. 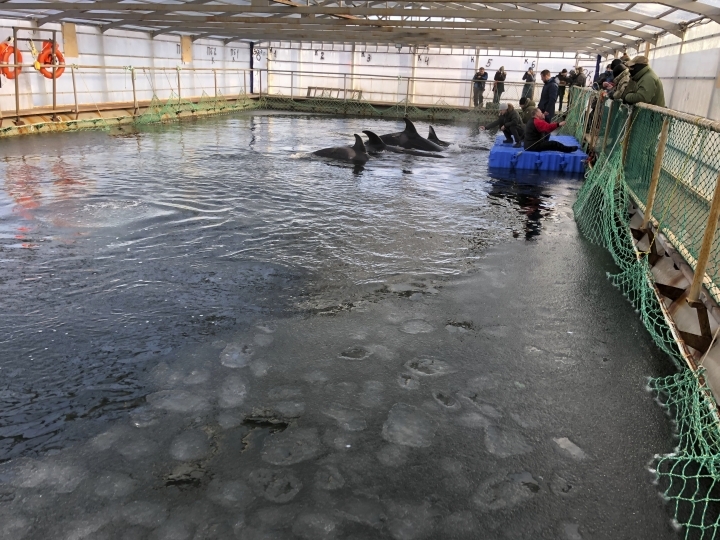 The 2017 ruling shows that Bely Kit had a standing contract with a company in China's northeast and that the company was unable to prove that the whales would be kept in good conditions and used for educational purposes. The city of Weihai in the Shandong province hosts an ocean amusement park. The court in the city of Yuzhno-Sakhalinsk has yet to schedule hearings in the case.